Death Stranding‘s release window is somewhat of a mystery, with many believing that the Hideo Kojima title won’t see the light of day until the launch of Sony’s next-gen console. Then, there’s Norman Reedus who “thinks” that Death Stranding will release “early this coming year.” That’s right, he thinks the game will release in early 2019. Reedus was discussing Death Stranding on Dan Fogler’s podcast (transcript via Reddit) when he was quizzed about the launch. “I think it’s gonna be early this coming year, I have three more [motion capture] sessions here in New York starting next week,” he replied. 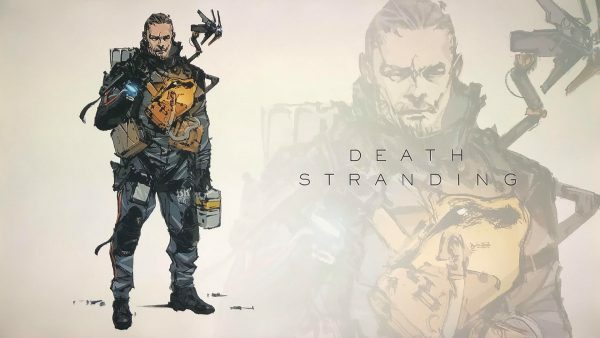 Discussing his work on Death Stranding, Reedus revealed that he’s “never” done the kind of work he’s doing on the upcoming title in a video game before. “This is a whole ‘nother level, and I’ve been in a lot of video games, but nothing like this,” he said. It’s not the kinda game where you kill everybody in the room. It’s a game of bringing people together. How you play it is you’re building bridges from here to there, and other people are doing the same, and you connect, and the character that I play is, he’s got this phobia of being touched, and as you play the game the phobia leaves you. It’s complicated but once you’re in it, it doesn’t seem as complicated. It’s constantly surprising you with decisions left and right, and what comes at you, and it’s a real brave game. It’s visually stunning, and the story behind it, it’s a whole ‘nother level, y’know. It’s not Pac-Man, it’s not simple, but the philosophy behind it is one that everybody can get. While we do have a little more information about Death Stranding, thanks to Reedus and Fogler, we suggest taking the release window with a grain of salt. That said, Troy Baker has finished his work on the game so you never know.